Dr. Peter Cowen has served in the North Carolina State University College of Veterinary Medicine's department of Population Health and Pathobiology since 1985. He decided to attend the University of Ibadan, Nigeria for his DVM degree granted in 1979. 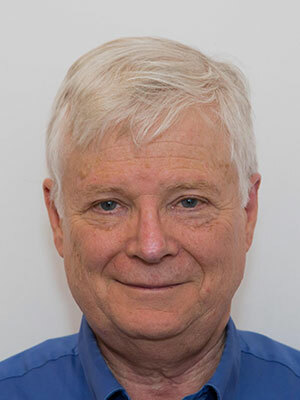 With a growing appreciation for the international needs of the profession, he returned to the United States to obtain both a MPVM and PhD from the University of California – Davis. He studied under the direction of Dr. Calwin W. Schwabe, the person who coined the term One Medicine and was also lucky to count Dr. James H. Steele, the first public health veterinarian in the world as his mentor. <br><br>A project of particular importance to Dr. Cowen since 1996 is working as moderator for ProMED-mail, an Internet emerging disease surveillance system recognized globally as a major communication avenue for public health professionals. ProMED-mail has over 85,000 subscribers in 170 countries. Dr. Cowen appeared on CNN to discuss the euthanasia of an Ebola exposed dog in Spain; National Public Radio's All Things Considered in 2006 to discuss Avian Influenza in West Africa and Science Friday to discuss animal epidemics in 2001. Dr. Cowen served as an USDA expert providing advice to the Government of Nigeria on the progress of their Avian Influenza Eradication program and from 2008-2011 Dr. Cowen helped the Nigerian Ministry of Health and CDC set up the first One Health based Field Epidemiology training program. He is currently working to promote One Health at University of Philippines. 'Dr. James Law, America's first university-based veterinary professor and an early advocate of the one-health concept, envisaged a 'new style of practitioner' who was 'more comprehensively educated [and] more thoroughly acquainted with the diagnosis and treatment of maladies of man and beast' (see JAVMA, 'Legends' profile, April 1, 2013, page 895). Dr. James Harlan Steele, who became known as the father of veterinary public health, certainly embodied Dr. Law's vision. Dr. Steele founded the world's first Veterinary Public Health unit at CDC in 1947 and served as Assistant Surgeon General, a position he held when he retired from the United States Public Health Service in 1971. Dr. Steele then joined the faculty at the University of Texas School of Public Health in Houston. In 1983, he was appointed professor emeritus, and he continued to remain active, providing wisdom, insight, and words of encouragement to countless students and professionals alike until his demise at 100 years old. During his tenure at the University of Texas, Dr. Steele helped to compile and edit the CRC (Press') Handbook Series in Zoonoses, the first comprehensive collection to address in detail diseases shared by humans and animals. (see JAVMA, 'Legends' profile, April 1, 2013, page 897). This lecture will also examine the ways in which Texas partnered with CDC in developing a comprehensive Rabies control program in 1950s, creating a template for zoonotic disease control programs. We will also examine how Dr. Steele's support of his graduate student at University of Texas, School of Public Health, Dr. Primo Arambulo lead to the current state of anticipation of hemispheric eradication of Foot and Mouth Disease.